- Choose Size - 0.94 in. x 60 yds. 1.41 in. x 60 yds. 1.88 in. x 60 yds. Purchased Most Frequently: 0.94 in. x 60 yds. (Yellow) | See Pricing Table below for additional options. FrogTape Delicate Surface will remove cleanly from most surfaces for up to 60 days. It's recommended to test before use on all surfaces including those with texture. 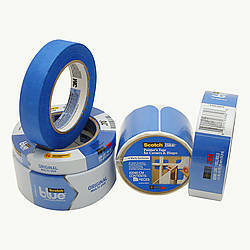 Patented PaintBlock® Technology is what makes it different from other painter's tapes. This technology prevents latex paint from bleeding by forming a micro-barrier along the edges (it reacts with the water in latex paint). 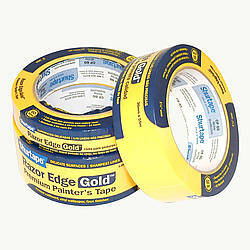 You get a fully sealed tape edge resulting in the sharpest paint lines possible. PaintBlock® is Superabsorbent Polymer (SAP) which absorbs and retains large amounts of a liquid relative to its own mass - it is used in many everyday items, including baby diapers. 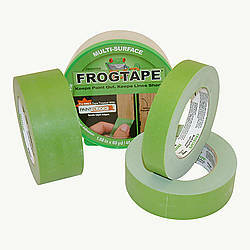 As with any other painting tape, it is recommended that you remove and reapply FrogTape in between coats of paint. If not, you run the risk of the layers of paint becoming too thick and bridging over the tape. This can cause the fresh paint to tear when you remove the tape. Made in the U.S.
Clean the surface to be masked. Make sure it is dust-free and dry. If the surface has been recently painted, make sure the paint has cured. 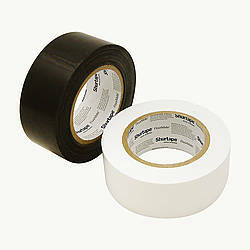 For accurate placement, adhere FrogTape in short sections to avoid stretching the tape. 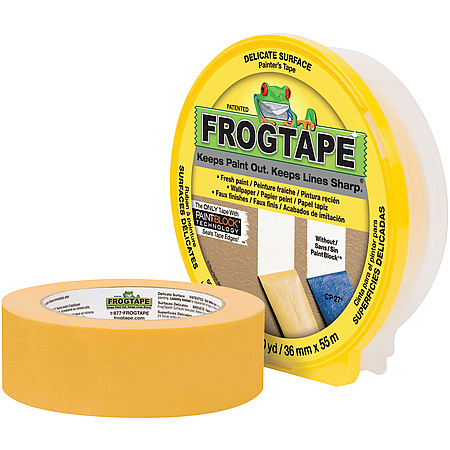 Make sure FrogTape is flush to the edge that you will be painting. 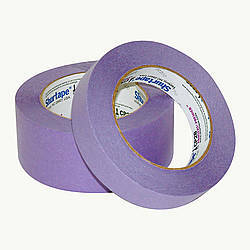 Using a putty knife or 5-in-1 tool, press the tape you positioned to burnish it to the surface you are masking. Remove the tape immediately after you are finished painting. 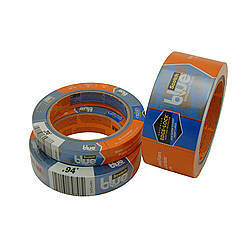 This will help prevent paint from bridging over the tape and tearing when you remove it. When latex paint begins to dry, it becomes rubbery (like a rubber band) and has a tendency to pull. 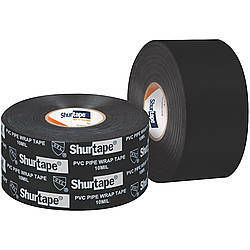 Remove the tape slowly and pull at a 90-degree angle. If the new paint does begin to tear, gently score the edges with a razor blade. If the tape begins to tear the wallboard when it is being removed, this likely means you have masked on a poorly bonded surface. Try softening the tape's adhesive with a blow dryer. 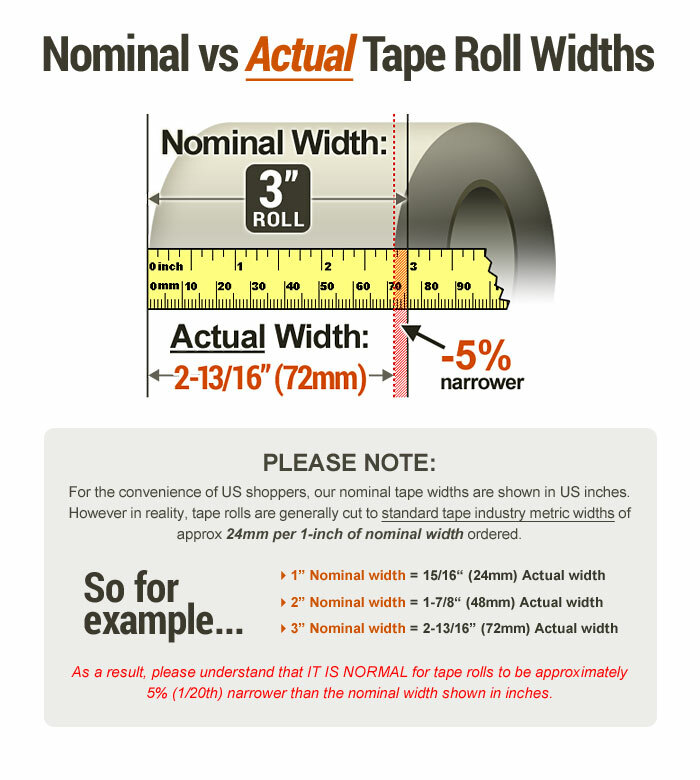 Thickness: 3.6 mils (carrier, adhesive) What is mil thickness? 0.94 in. x 60 yds. 1.41 in. x 60 yds. 1.88 in. x 60 yds.